The Theraderm Skin Renewal System makes beautiful skin as easy as 1-2-3. Now this $137 skin care package can be yours! - Susan Said... WHAT?! I’ve spent my entire life outdoors… at sporting events, gardening, and whole long, lazy summers by the pool. My skin care “regimen” was always pretty simple and it worked. In fact, a few years back my dentist commented on how beautiful my skin was – and he was looking through a magnifying lens! But suddenly, when I turned 40 it occurred to me that I wasn’t as young as I used be. Maybe I should pay a bit more attention to my skin and stop relying on the good genes inherited from my beautiful mother! 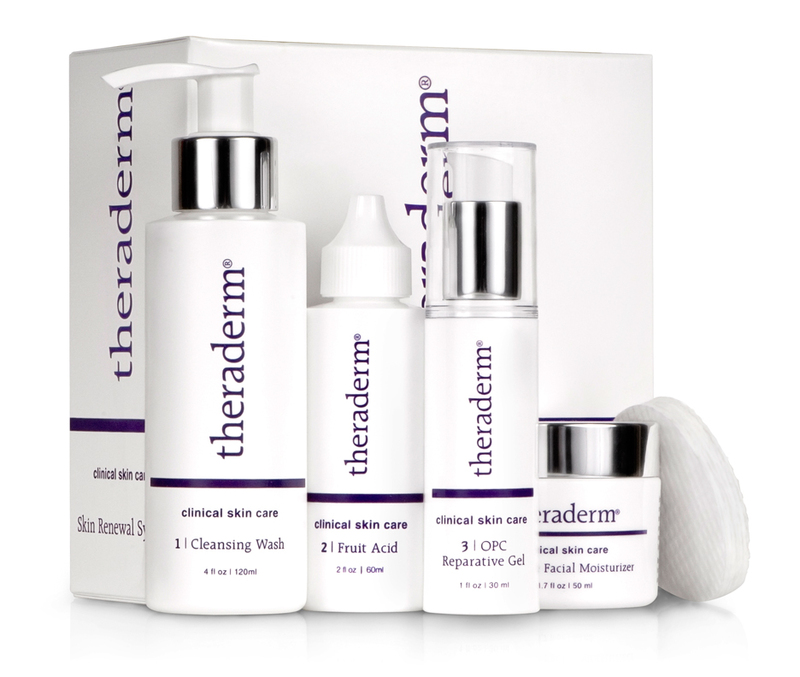 So I am thrilled to share a new find – the Theraderm Skin Renewal System by Theradon — skin care products that are both reasonably priced and effective. The complete package consists of a Cleansing Wash, Fruit Acid, Reparative Gel and Peptide Hydrator, plus gentle application pads. Step 1: The Cleansing Wash was very gentle. The wash is soap-free so it’s also non-drying, but made my face feel wonderfully clean. Step 2: The Fruit Acid is clinical strength and helps your skin naturally exfoliate dead skin cells. It also stimulates growth of new skin cells – an important step for young looking skin! Step 3: The OPC Reparative Gel was somewhat of a surprise – it’s a dark red color! But, this antioxidant gel actually helps protect skin from environmental damage (a must for me). Peptide Hydrator. I put this on before my makeup and at night. Lightweight, but creamy, it was instantly absorbed into my skin. This skin care system was actually created by plastic and reconstructive surgeon James S. Beckman, M.D. Dr. Beckman set up his private practice back in 1977. Over the course of 24 years, in response to skin concerns voiced by his patients, Dr. Beckman began developing unique products to restore skin to its optimal health and to enhance the effects of plastic surgery. 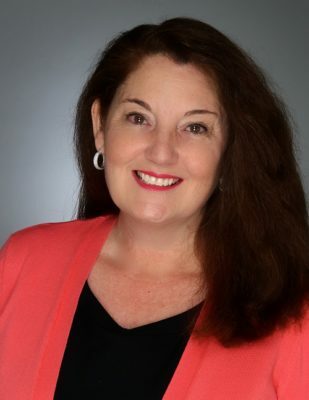 Dr. Becker knows intimately the types of skin care problems we women face every day — everything from fine lines and wrinkles, to adult acne breakouts, to hyperpigmentation, Rosacea, dark under-eye circles, and even stretch marks. He created a line of products that addresses each specific issue and works with the body’s natural ability to help repair and rejuvenate skin. Not sure how best to treat your skin, which product to use, or have another beauty question? 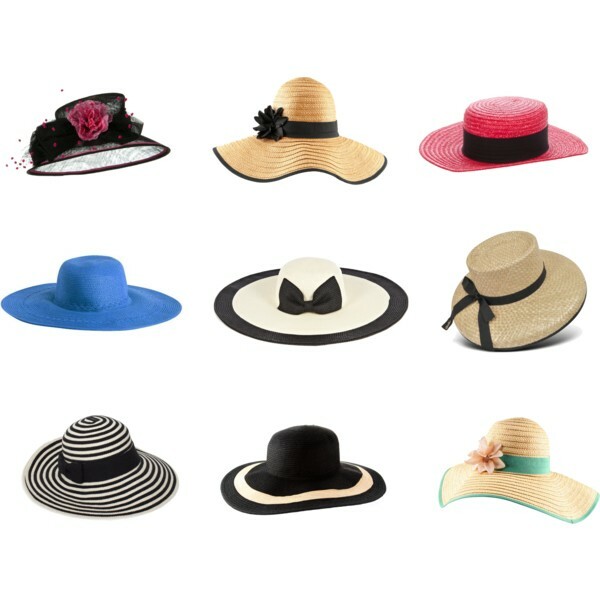 Find your answers at the Therapon blog The Skinny… all things beauty. Recent topics include how to treat dry skin on the eyelids, how to get the best results when spray tanning, and 6 tips to healing chapped lips. To purchase the entire line of products online, visit Therapon or choose a clinic near you with the easy-to-use Therapon Clinic Locator. Best of all? Therapon is so sure you’ll love their product line that they offer a money-back guarantee! 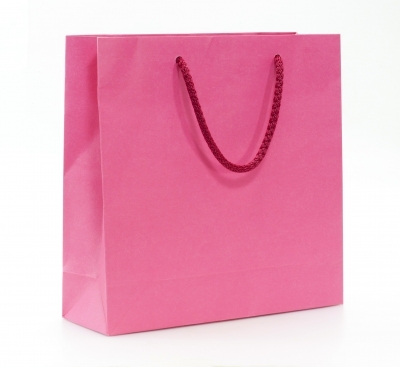 If you are not completely satisfied, contact a member of the Therapon team within 90 days of your purchase to return the unused portion of your product for a full product refund or exchange. Now that’s what I call beautiful! 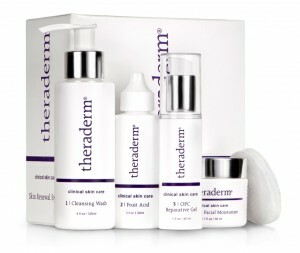 Want to WIN your own Theraderm Skin Care Renewal System? Simply enter with the easy-to-use RAFFLECOPTER form below. Good Luck! Photo: Used with permission, by Therapon. Disclaimer: No financial compensation was received in exchange for this review. However, I received one or more of the products mentioned above for free using Tomoson.com. Regardless, I only recommend products or services I use personally and believe will be good for my readers. Separator image Posted in WOMEN'S HEALTH & BEAUTY and tagged with beauty, cleansing wash, fashion, giveaway, hydrator, moisturizer, prize, reparative gel, skin care, style, Susan Said What? !, Theraderm Skin Care Renewal System, Therapon, win. I love the Enlighten Skin Brightener. I would like to try Enriched Facial Moisturizer the most. I’d like to try their Theraderm Body Restoration Crème. Thank you for hosting this giveaway. I would like to try the Fruit Acid! I would like to try the fruit acid exfolient the most. The Eternox Wrinkle Reduction System Replacement. I would like to try the Peptide Repair Eye Cream. I would most like to try the skin brightener. I would like to try the Theraderm Peptide Repair Eye Crème, I need a lot of help with my eye area. Thank you. The Enriched Facial Moisturizer sounds like what I’d love to try most! Iwant to try the Enlighten Skin Brightener. I would like try the Extreme Dry skin therapy creme because over the winter months my skin has gotten VERY dry! I’m most interested in the Enriched Facial Moisturizer. I wold like to try the NuPeel Natural Enzyme Peel. I would like to try the Enlighten Skin Brightener	. Love to try the Moisturizer! I have really Dry Skin! I would like to try the Theraderm Peptide Repair Eye Crème. I’d love to try the Enlighten Skin Brightener! I would like to try the Fruit Acid Exfoliant that naturally exfoliates dry, outer-skin layers and stimulates natural growth of new skin cells. As an older woman I need to remove dry aged skin. im excited about the Enlighten Skin Brightener! The peptide repair eye creme. I would like to try the Gentle Facial Moisturizer! the peptide repair eye cream…I’ve been looking for a good eye cream! I would like to try the Enriched Facial Moisturizer. I would like to try the Enriched Facial Moisturizer system! I would love to try the cleansing wash most! I would love to try the facial cleaner. I really want to try the NuPeel Natural Enzyme Peel! I’d love to try the Peptide hydrator. Thanks for the giveaway.